To perform this function the TCI-50 reads externally applied SMPTE LTC or VITC time code and inserts the time and user bit values into the RS-422 data stream going to an edit controller or personal computer from VCR, VTR, disk, and solid state video record/playback devices that us RS-422 control. 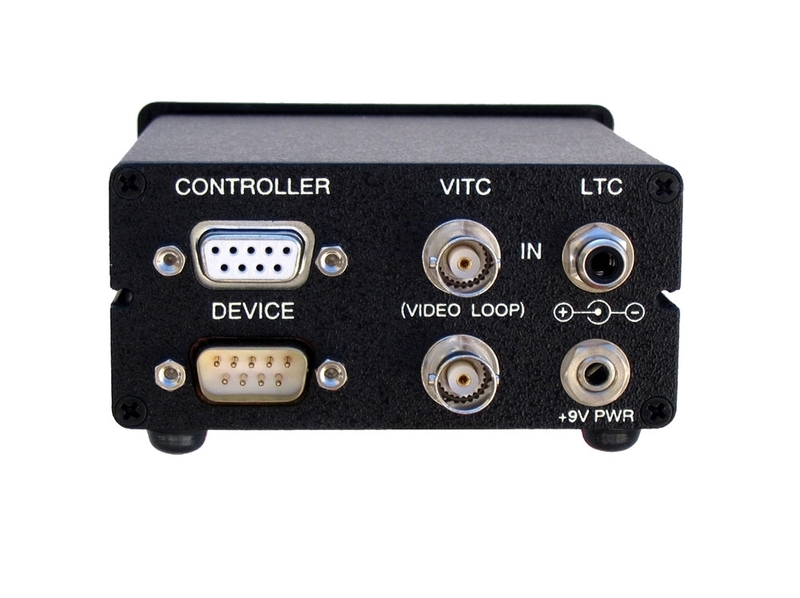 The TCI-50 requires a SD NTSC RS-170A or PAL 625/50 analog composite video input with VITC for VITC time code operation and performs auto frame rated detection to insure correct 25 or 29.97 FPS operation. The TCI-50 also has a "local" mode and can perform as an RS-422 playback device itself, responding as though it was the VCR providing the time code to the system. Responds to controller commands requesting VCR time code location, as well as cue, preroll, and other time code related commands. High speed reading capability reads VITC and LTC at various VCR search/wind speeds, depending on channel bandwidth and tape formats. LTC input source can be from an audio channel or a time code address track. 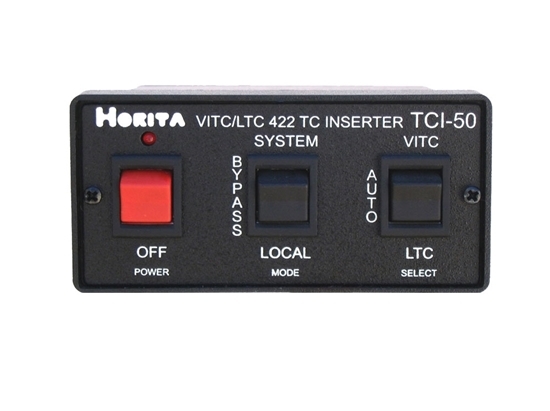 Front panel switches are provided to select between VITC or LTC, as well as select "auto" mode which automatically switches to VITC as a backup when reading LTC. "Bypass" mode removes TCI-50 from the RS-422 data path. Local mode emulates a VTR to insert time code into the RS-422 data.